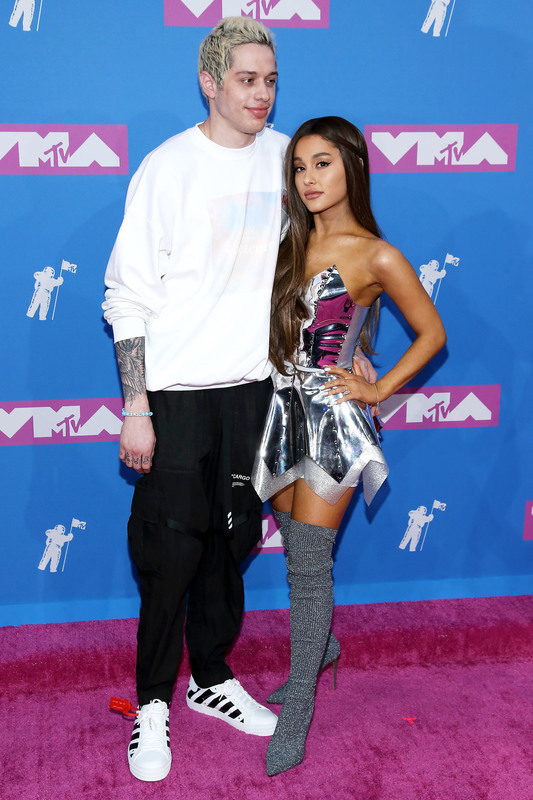 Ariana Grande Offers Pete Davidson Support After Alarming Message: 'I'm Not Going Anywhere' - Integration Through Media ....! Ariana Grande is offering her support to Pete Davidson. Shortly after the Saturday Night Live star, 25, posted an alarming message and then deleted his Instagram on Saturday, Grande let her ex-fiancé know that he can count on her. “Man i’m so sorry i told a dumb joke,” she wrote in a series of since-deleted tweets, referencing a message directed at Kanye West, which had drawn Davidson’s ire earlier on Saturday. “I really didn’t mean any harm. all i want everyone to be healthy and happy. so desperately. please. my god,” added Grande, also 25. “I know u have everyone u need and that’s not me, but i’m here too,” she wrote. A rep for Grande did not immediately return PEOPLE’s request for comment. Davidson and Grande split in October. They first started dating in May 2017 and got engaged three weeks later. The couple’s split came amid a difficult time for Grande. Just a few weeks earlier, the singer’s former boyfriend Mac Miller died of an accidental overdose of fentanyl, cocaine and alcohol. “All i’ve ever tried to do was help people. Just remember i told you so,” he continued, adding a single red heart emoji. A public information officer with the New York Police Department also told PEOPLE they sent officers to do a welfare check on Davidson. TMZ was the first to report the news. The New York Times reported that police said a rep for NBC told the NYPD that Davidson was at work and doing fine. Earlier on Instagram, Davidson came to West’s defense after the rapper criticized Grande for a joke she made regarding West’s feud with Drake, which West claimed made light of his mental health. “Bravo Kanye West for standing up for yourself and speaking out against mental health,” wrote Davidson, who has borderline personality disorder and has previously spoken about the negative effects bullying has on his illness. “I can’t explain to you enough how difficult and scary it is to be honest about stuff like this. We need people like Kanye,” he continued. “Guys, i know there are grown men arguing online rn but miley and i dropping our beautiful, new songs tonight so if y’all could please jus behave for just like a few hours so the girls can shine that’d be so sick thank u,” she wrote on Thursday. Grande went on to apologize, saying that while the joke was “probably insensitive,” she wasn’t trying to use the feud to promote her song. “With all due respect, i don’t need to use anyone to promote anything. period. i was making a comment ab what men were doing at the time vs. women. it was a joke which i understand now was probably insensitive. i apologize if i was in any way triggering and hope u feel well today,” she wrote in a since-deleted tweet. After Davidson posted a lengthy note earlier this month about how he felt bullied by Grande’s fans, the singer implored her supporters to treat him with more kindness.